Cairnbulg is a small fishing village lying at the east end of Fraserburgh Bay on the North Sea coast of Buchan, Aberdeenshire. Its harbour, which lies half a mile to the north west of the village at the end of a track, is no longer used commercially. As 'Cairnbulg Boathaven', it is nowadays used by a number of leisure craft, with a present capacity in the region of twenty craft from 16' to 24'. 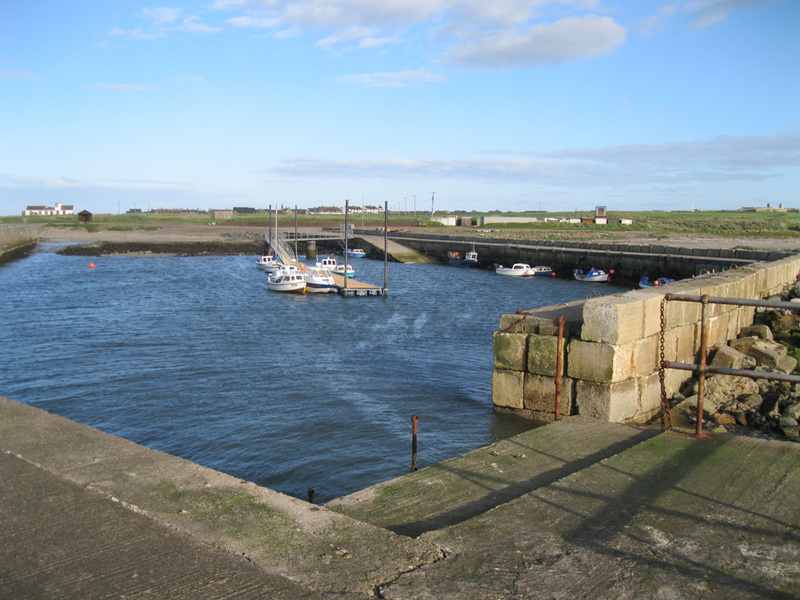 This harbour is run by a committee of management and is a Scottish registered charity. It is presently undergoing a programme of development whereby grants and aid funding are being submitted. The recent addition of a pontoon system (see More Photos link) has provided an additional 20 berths. The idea of a harbour "wast by" (to the West of Cairnbulg) was first conceived in the 1920s with land donated to the village by the then laird Sir John Duthie. Work on the pier commenced soon after but came to a halt when funds ran out after achieving only 80 metres of construction. The harbour remained untouched for the subsequent sixty years until the early 1980s when Andrew May took over Chairmanship of the harbour committee and pushed for progress. Upon receiving funding from the Scottish development agency work again continued with an extension to the existing East breakwater. Construction was aided by using World War 2 tank traps as building blocks. As work continued it became apparent that a west pier could be built, giving all year round moorings. Over the years many additions have been incorporated into the harbour area including a purpose built compound for boat storage, a car parking facility for beach users and even electrical supply to the harbour. Work still continues on an annual basis with funding coming from harbour users fees and such activities as the gala and bonfire nights.